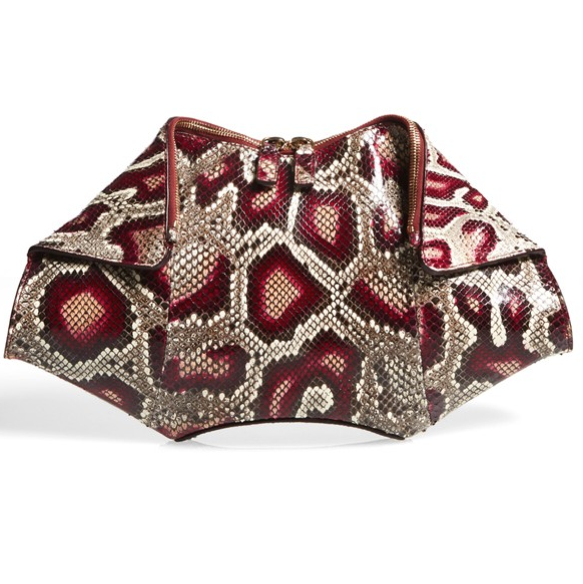 Genuine python gives the iconic De Manta clutch a boldly graphic look and showcases the bag’s sculptural lines, while a rich, red suede interior extends the luxe aesthetic. Two-way top-zip closure; hidden magnetic closures. Alexander McQueen: Creative Director Sarah Burton brings her signature artistic vision and technical expertise to the acclaimed design house, carrying forward its revolutionary fashion legacy.